MDCS is a software package for survey planning, real-time mission support and data collection. It is specifically designed to support bathymetric and marine geophysical surveys. MDCS can interface with a wide variety of survey equipment and sensors, and supports concurrent acquisition of bathymetry, marine seismic and side-scan sonar data. MDCS contains graphical tools for survey plan management (i.e., background chart information, definition of survey areas and survey lines). MDCS is being used around the world with a wide variety of survey equipment configurations, and additional instruments interface easily with the system. MDCS provides support for vessel steering and survey quality control. Through MDCS, the surveyor is also provided with unique capabilities to control and monitor the sonar system. 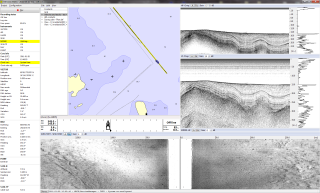 Depending on the type of the survey, different real-time presentations of the sonar data are available. The MDCS real-time survey software runs on both stand-alone and multiple networked PCs with Windows 7, Windows 8.1 or Windows 10 operating system.